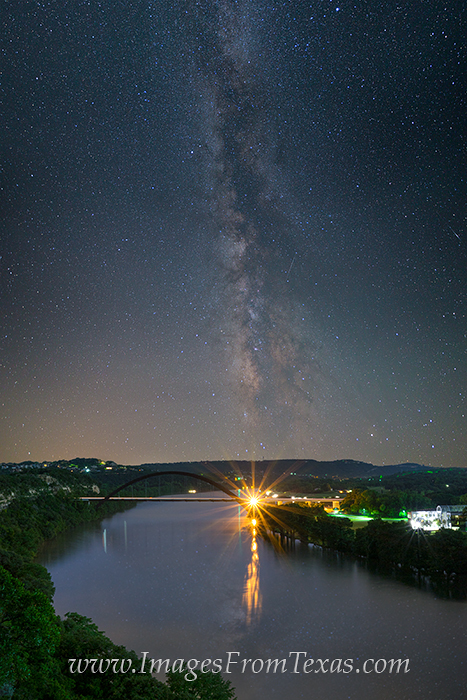 This image of the 360 Bridge is a composite of two photographs - one of the river and bridge at night and the other of the Milky Way overhead. Austin suffers from too much light pollution at night, but if you could see the Milky Way on a June night, this is where it would appear. Photo © copyright by Rob Greebon.